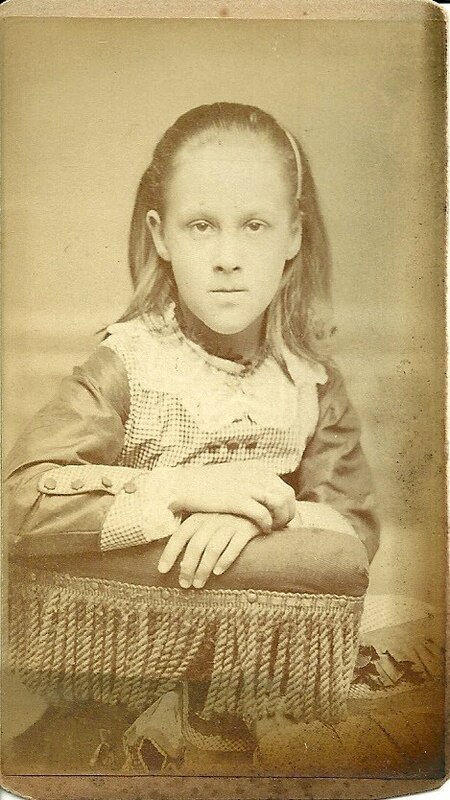 Carte de Visite produced by Armand of 16 Market Square, Portland, Maine, of an unidentified girl with a serious expression in her long and narrow face, hopefully recognizable to someone who has pored through family albums from the Portland area. If you have any insights into the identity of this girl, please contact me. Thanks for stopping by!